By terror that's black-clad and eerie. 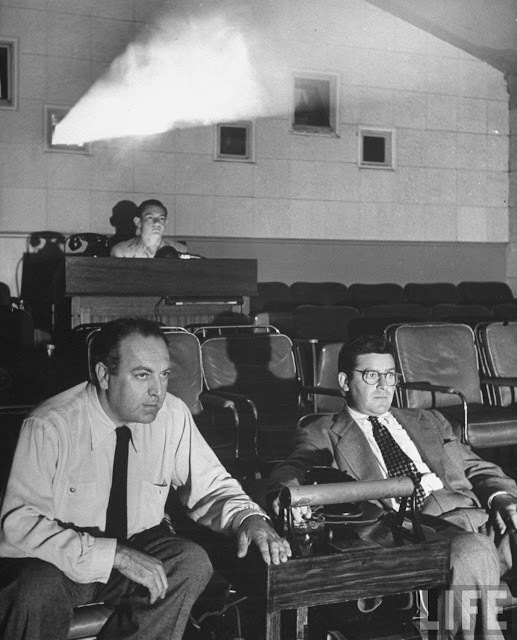 Above: Val Lewton and director Mark Robson in 1945. 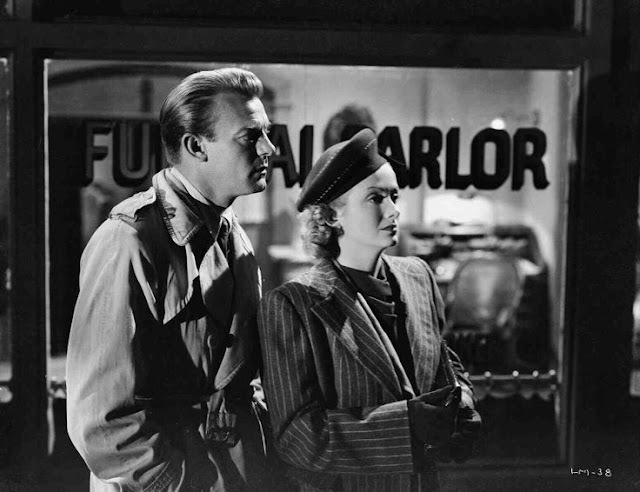 Top: Dennis O'Keefe and Jean Brooks in The Leopard Man (Jacques Tourneur; 1943), produced by Lewton. Title by valley guy Donald B. Benson. Let us know if you have enjoyed our trip down Lewton Lane.